If you’re a small business that has a unique product that you want to sell on the web, creating an e-commerce website can be the best way to get your product online and selling in a short amount of time. For the past 10 years, business has been shifting online and the traditional door to door marketing methods of selling vacuums are a thing of the past. Instead of going door to door trying to sell widgets, why not let your customers come to you, find you online and with a click of the mouse, watch the orders start flooding in? If you’re considering small scale, e-commerce web design you should fill out our contact form for a no obligation, free consultation. According to a Forrester Research / Internet Retailer Survey (2014), 48% of B2B customers will place 50% or more of their orders online within the next 3 years. E-Commerce B2C sales will increase by 20% this year to reach $1.500 trillion. Growth will come primarily from the increase in mobile commerce transactions, alternative payment options and the push to new international markets by major brands. New data seems to show that social media is being used to search and discover new products. In 2014, e-commerce orders coming from social media grew a staggering 202%. While your brick and mortar store might have open hours, the web is open 24/7. More and more people are shopping after hours and during their lunch time while at work. Can your customers access your product while on their computer at lunch? Hopefully this will give you some valuable insight as to whether e-commerce is right for you. 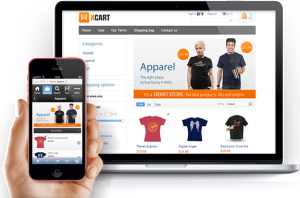 Severity Design offers small scale (50 units or less) e-commerce website design for an affordable price. No need to break your budget to get started selling your new idea on the web. Simply fill out the form on the side of your screen and someone from our team will contact you today to discuss your project!